Thanks to the success of Telltale Games, we’ve seen an increase in games that focus on narrative over gameplay. That doesn’t mean that there’s no player interaction, but that these games play out more like a choose your own adventure book. This way, the player gets to feel as if they’re taking part in the story, not just watching things unfold from a distance. This type of game is still largely rooted in adventure game roots, however, as there’s often an inventory with items, locations to roam around, and puzzles to solve. Planet of the Apes: Last Frontier looks to streamline the experience by removing such sequences. It’s purely about player choice, which takes the form of choosing when to perform certain actions, and what dialogue trees to go down through. Another dynamic is put in play when players choose to play this with others (players can join in either via a controller or smartphone), as it becomes about group voting, which can result in politicking that is just as devious as what’s going on in the story. I’m not exactly sure this framework would be ideal for all games (I feel like Life is Strange is certainly enhanced due to exploration), but Planet of the Apes: Last Frontier at least shows that it’s more than viable when telling the right story. Due to how the plot is constructed, there’s rarely a slow moment to be had in Last Frontier, as there’s always some type of conflict right around the corner. Due to this, it never feels abnormal that the player lacks direct control, and it winds up working in the game’s favor. Despite being set between two of the films, Planet of the Apes: Last Frontier is largely a self-contained experience, and works fine if you haven’t seen the recent entries in the franchise. 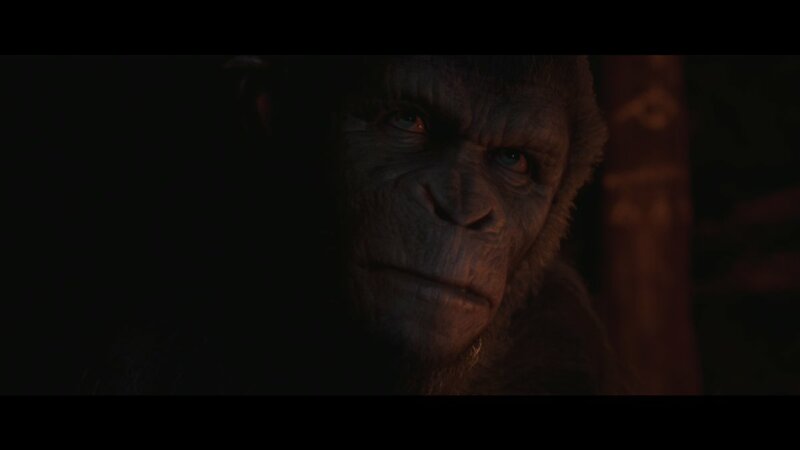 As one would expect, the core plot revolves around the conflict between humans and a tribe of intelligent apes that are able to wield weaponry and talk. In this particular scenario, it’s the first interaction between the two, as the humans weren’t aware of the apes, and the apes had been hiding in a mountain in order to avoid any bloodshed. However, desperate times open up the possibility for mistakes to be made. During a rough winter, a small pack of apes decide to leave the mountain in order to search for foods in the plains below, and during this they wind up getting into a tussle over some steer that leaves one human dead. That’s all it takes to break the peaceful ignorance of the area, and an inevitable war is put into motion. What really makes Planet of the Apes: Last Frontier work is that it tells the story from both sides. On the ape side, players control Bryn, the middle son of the tribe’s leader. He must deal with an overeager brother that has a thirst for combat, while also taking care of the rest of the tribe’s needs. Meanwhile, they also control Jess, who acts as the leader of the human settlement after the death of her husband. While respected, Jess is also struggling to come to grips with her newly found leadership role. Since players are seeing things from both perspectives, I wouldn’t liken Last Frontier to most choice-driven games, where players take the role of acting as one character. Instead, it’s more like the player is getting to play god, and is deciding upon an outcome of a film. Since I grew to like characters on both sides and don’t like senseless violence, I wound up trying to make peace between the two factions. After deciding on that, it became pretty easy to know what choices to pick, and I wound up seeing the two sides come to a satisfactory conclusion after a few hours of play. There are a few small things that hamper the experience (like some pop-in that occurs mainly in a sequence near the mines), but I came away really impressed by Last Frontier. Since it focuses so much on the story, both the writing and character performances have to be nailed in order for it to work. It’s putting a lot into one basket, but some really great acting (on the sides of both the apes and humans) and animation make everything work. This isn’t a total surprise, as Andy Serkis’ production studio, The Imaginarium, is involved, but it’s still worth celebrating. I doubt I’ll replay Planet of the Apes: Last Frontier soon to see the other endings because I’m happy with the ending I got and don’t want to see these characters I grew attached to die, but there are reasons to come back if you’re looking to get more bang for your buck. As the trophies show, there are two other main endings (one with the apes winning, the other with the humans winning), and a bunch of differences dependent upon choice (such as if a character lives or dies). There’s also a Platinum trophy, although it will take some work to unlock, unlike the recent Telltale Games titles. 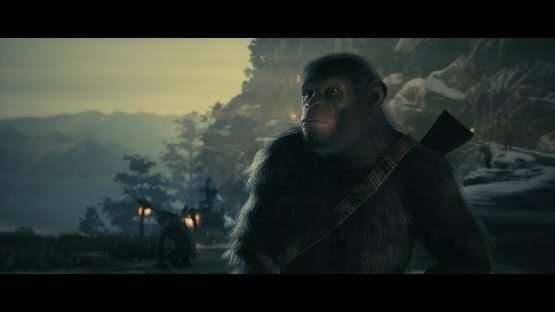 Planet of the Apes: Last Frontier features a story that manages to excite and get players invested in despite it not going too deep into the lives of both apes and humans. It’s also an important experiment in storytelling, and one that largely winds up being successful. Hopefully this leads to more titles that aren’t afraid to challenge the established ideas of interactive narrative. Planet of the Apes: Last Frontier review code provided by publisher. Version 1.02 reviewed on PlayStation 4 Pro. For more information on scoring, please read our Review Policy.